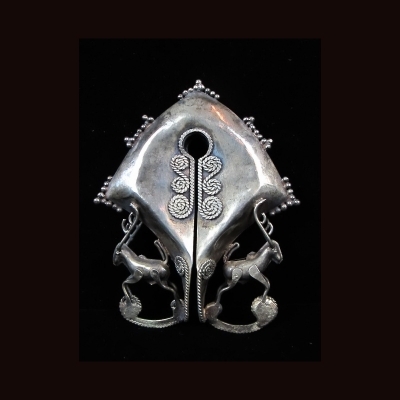 This silver mamuli comes from the island of Sumba in eastern Indonesia. In Sumbanese culture, duality is an important principle: together, "male" and "female" form an entity. Metals are considered male, while textiles represent the female principle. 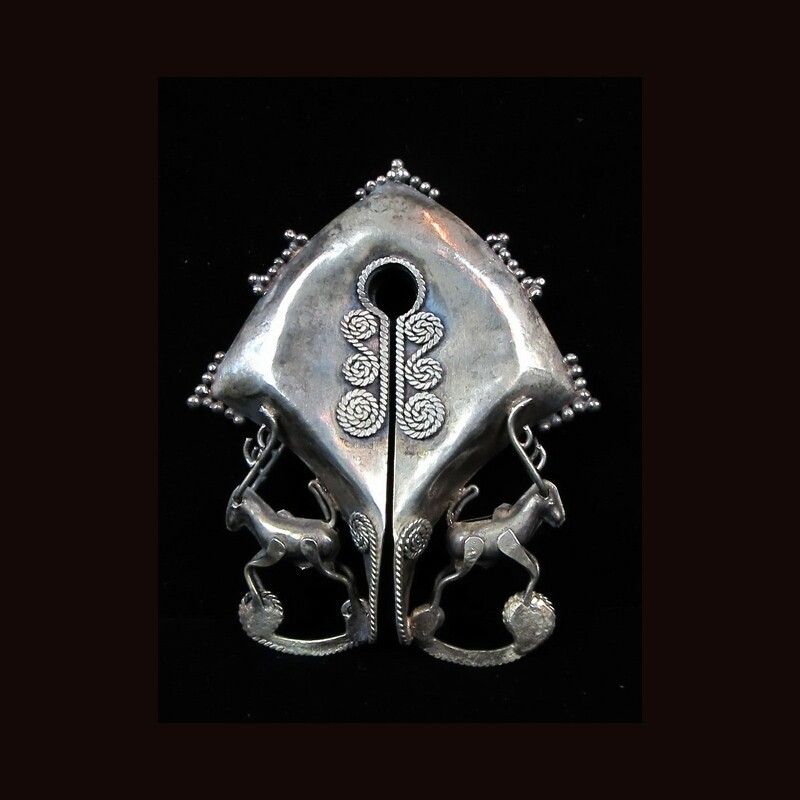 In the ritual exchanges of gifts accompanying marriages, diverse metal objects are exchanged for textiles. Mamulis are the most important metal items in this context. They are given in pairs: a mamuli mapawisi ("mamuli with feet") and a mamuli makamaluku ("naked mamuli") at any one time. The mamuli mapawisi is considered male; its flaring bases are embellished with diverse decorations – in this case with deers. The mamuli makamaluku, on the other hand, is undecorated and regarded as female. Mamulis are believed to have magical powers. This is why they are mostly kept out of sight and only produced during ceremonial occasions. They are considered part of the family treasure and are passed down from generation to generation. The transfer usually takes place at the son's marriages.